Estonian six-stringer makes an optimistic point on a solo debut. Having played in various bands for three decades, Kalle Vilpuu knows better than to go the guitar hero way on the first record under his own name, focusing for the most part on composition and texture and putting his technique in the service of it. More so, there’s an implicit concept underlying the licks, as the delicate, if heavy, “Unforgiven” works out a brace with the uplifting, flute-smoothed “Forgiven” while the twangy title track, which closes the suite, turns the tables on the nervous opener “Anomalies” where a cosmic synthesizer wave sails across the insistent riff. Contrast might be the name of the game here, as the dripping sparseness of “Interno” gets cut with a wordless female voice before the piano throws itself over a dance beat and the axe bends it all into blues. The folky vocal returns for “The Touch of Angel” yet, more touchingly, the magical dew descends over the clang of “Industrial No 4” – a sharp, foreign body otherwise – just like the shredding in “The Aliens (Have Landed)” has an Eastern techno buzz to it. 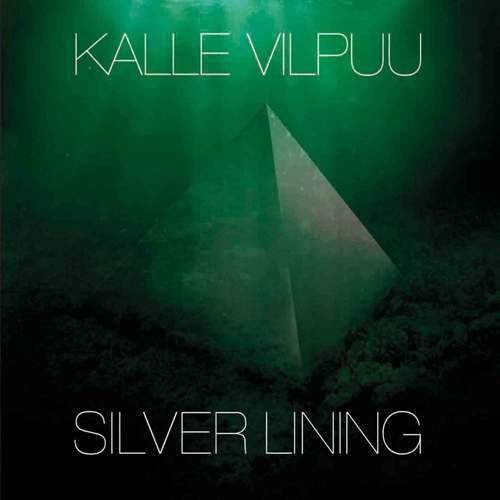 But “Rosie” flows in on fluid lines to explore the rich tone of Vilpuu’s instrument – and it’s only the contour of what Kalle can do. Silver, indeed.